The Ground Shaking Hazard shows areas categorized in potential intensities of ground shaking during an earthquake. The Philippine Institute of Volcanology and Seismology (PhIVolcS) categorizes this into: Lower than Intensity VI, Intensity VI, Intensity VII, and, Intensity VIII and above. The scale unit is in PhIVolcS Earthquake Intensity Scale (PEIS), a measure of how an earthquake felt in a certain locality or area. It is based on relative effect to people, structures, and objects in the surroundings. it is represented by Roman Numerals, with Intensity I being the weakest and Intensity X the strongest. 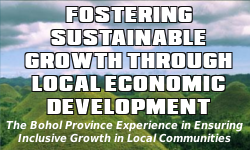 It is used since 1996, replacing the Rossie-Forel Scale. 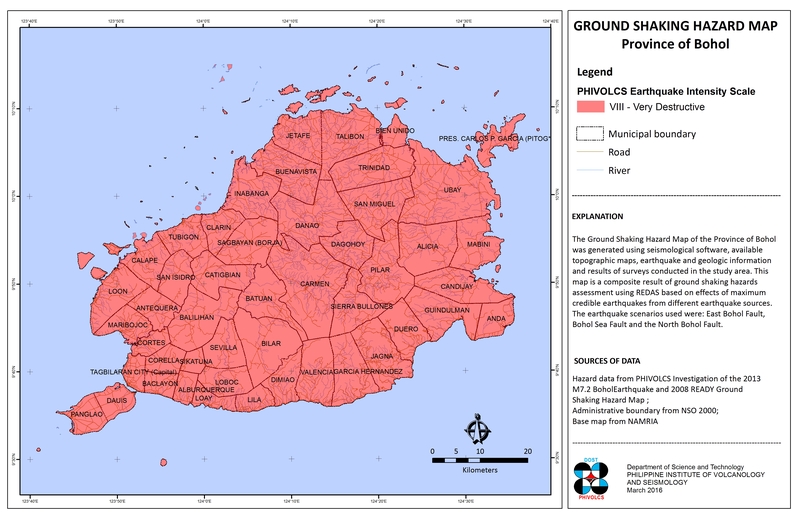 Ground shaking hazard data is from PhIVolcS 2008, Administrative boundary is from National Statistics Office (NSO) 2000, and, Topographic map 2:50,000 scale is from national Mapping and Resource Information Authority (NAMRIA). 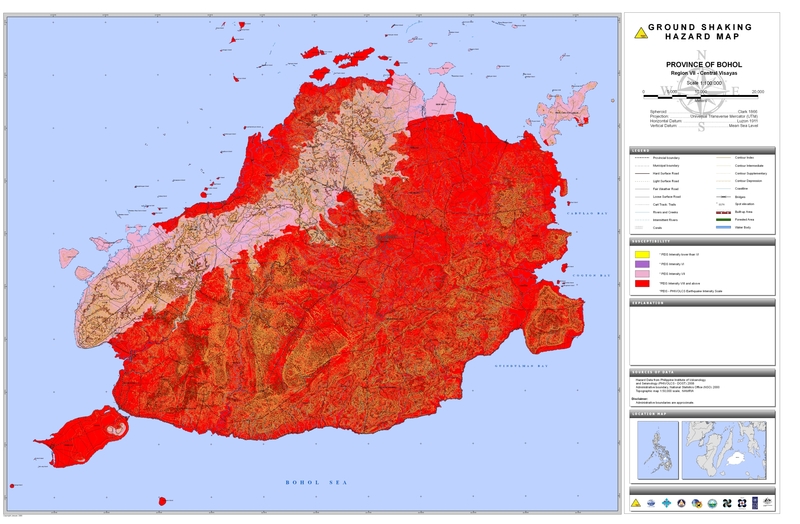 The Ground Shaking Hazard map was acquired from the Hazards Mapping and assessment for Effective Community-Based Disaster Risk Management (READY) Project through PhIVolcS.